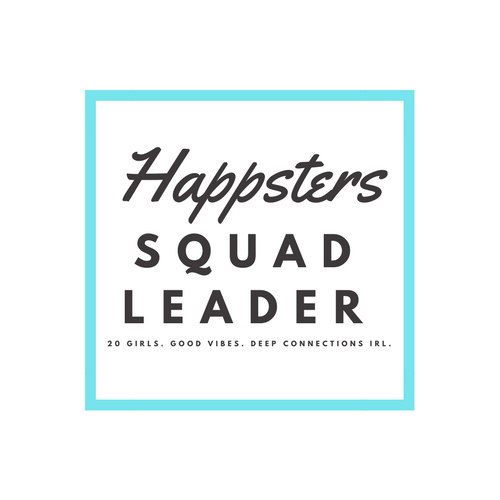 Ever since I started the Happsters 2+ years ago, I’ve wanted a way to connect members of the community. I recently came up with an idea to create a way for you to meet other Happsters in the most fun way possible! It’s a pen pal program for happy people! Basically I am going to match up Happsters based on similar hobbies, ages, etc. so that you can exchange letters and happy mail just like good old-fashioned pen pals! I first came up with this idea when I saw @paperedthoughts on Instagram (see her pen pal mail above). She sends the cutest letters to people and uses hashtags like “#penpalswanted” and “#snailmailrevival”. I was blown away by how many people send these types of letters to pen pals all over the world. If you search “#snailmailrevolution”, it has over 100,000 photos tagged! As you probably know, a large part of happiness comes from forming friendships and social connections. And what better way to do this than by connecting with the happiest people around the world through happy mail? 1) Fill out the short survey here to tell me about yourself and what you’d like to find in a #HappsterMail pen pal. 2) Get matched with a #HappsterMail pen pal by me. I will email you both to let you know who it is. Isn’t the suspense killing you?! Share your mail by taking a picture and post it on Instagram or Twitter using the hashtag #HappsterMail so we can all see what you got (optional). 4) Keep sending letters back and forth for however long you want and make a friend for life. If you want another pen pal for some reason, just fill out the form again. I’ve already asked some of the Happsters in the community if they would like to join and gotten an overwhelmingly positive response, so I can’t wait to get this started! This is a picture of my letter going out to my first #HappsterMail pen pal, Shelley. Here is more inspiration for your #HappsterMail that I found on Pinterest. P.S. These are just examples to get you thinking. Yours can be as simple or as elaborate as you want!! P.S. I started an Instagram account dedicated to this project. You can find it at @HappsterMail. If you use the hashtag #HappsterMail, I will feature you there!